PLAY — 21 years strong! Participate in crafts, water play, field games, sports activities and much more. Days of Play parks are also Bend-La Pine School District summer lunch program locations, too! Check out website for locations and times. LOCAL —Blossoming into one of Oregon's leading farm-direct marketplaces, the Bend Farmers Market showcases 100 percent Oregon-produced goods. You'll find everything from fresh eats, sweet treats, meats to flowers and fun for the whole family. 3-7pm. LEARN—Come check out this beginner rocketry class launching solid fuel rockets. Learn how rockets and rocket motors work, then design and fly your very own! Ages 5 to adult – family-oriented. 10:30am-12:30pm. Reservations required. PLAY — Pack a picnic and bring the fam along for a delightful evening of live music, games and art activities in local parks—and there will be ice cream treats! Bring a blanket or chairs. 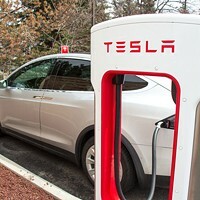 See website for park locations. LOCAL —Blossoming into one of Oregon's leading farm-direct marketplaces, the BendFarmers Market showcases 100 percent Oregon-produced goods. 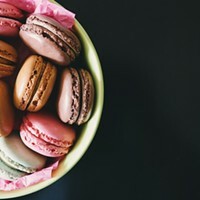 You'll find everything from fresh eats, sweet treats and meats to flowers and fun for the whole family. 3-7pm. LEARN—This class features information on the Mars Rovers and you will build your own solar rover and run a course with some of our special rovers! Ages 8 and up. Reservations required. Bring the family down to Drake Park for some live music, great food and arts in a beautiful setting next to the Deschutes River. Bring a blanket or low back chair, relax and enjoy this community tradition. LEARN—Build your own solid fuel rocket, choose an engine and watch it fly! Ages 8 and up.10:30am-12:30pm. Reservations required. LEARN—Walk with us on the wild side! Join Tom Lawler, expert local birder and nature photographer, to discover the rich bird habitats of Sunriver. Learn to identify a variety of species found in the wetlands, meadows and forests surrounding the Nature Center. 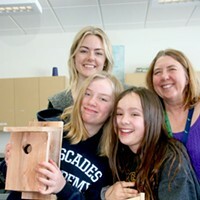 Bird walks are geared towards adults, but older children with an interest in birding encouraged. Bring binoculars! Registration required. MUSIC—Spend your Sundays at SHARC with this fun free weekly event for the whole family. Come enjoy entertainment, a farmer's market, local food carts and more! 4-6pm. BASEBALL—Take me out to the ballgame! Nothing goes better together than summer and baseball. Let the Bend Elks entertain the whole family at Vince Genna Stadium. Every Wednesday, kids 12 and under are free! See website for complete schedule. EVENT—This festival celebrates the region's unique ingredients, cuisine and culture by bringing together chefs, bartenders, brewers, food enthusiasts, home cooks and local purveyors for a three-day food party on the streets of downtown Bend. The whole family will enjoy live music and some fabulous events, including the Top Chef competition, the Beer Run, the Root Beer Run and more! FUN RUN — Kids between the ages of 3-10 will have a blast on this fun course. Participants will run the course while building the key components of their root beer float. HIKE — Join the Deschutes Land Trust for a children's story time stroll through the Metolius Preserve. Kids will discover how rocks, plants and animals tell their own stories. Ages 4-8 with a grown-up. Register online. DAY FOR DADS — Free admission for dads at High Desert Museum today! HIKE —Explore the delicate and beautiful world of butterflies with the Deschutes Land Trust. 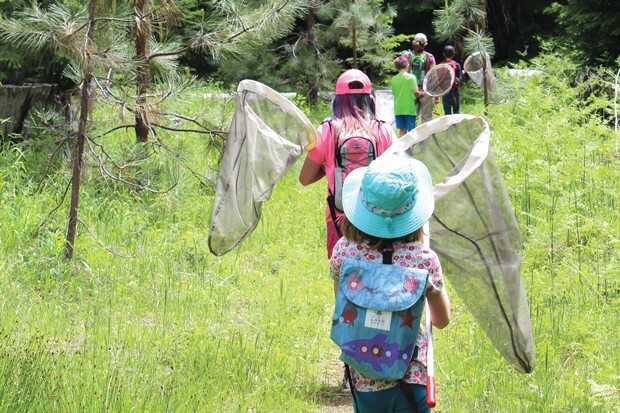 This family-friendly walk around the Metolius Preserve will captivate your kids as they roam the forest searching for butterflies. Ages 4-10 with a grown-up. Register online. MUSIC—Enjoy a family-friendly weekend of live music and overnight camping. Bands for 2018 include Greensky Bluegrass, Nahko & Medicine for the People, North Mississippi Allstars, The New Mastersounds, Poor Man's Whiskey, the Brothers Comatose and more. COOK — "I'm Hungry!" Sound familiar? Parents, sign your kids ages 7-17 up for a hands-on, three-hour class where they will learn to make their own healthy snacks including: apple chips and sweet and spicy nuts. HIKE — Join the Deschutes Land Trust for a children's story time stroll through the Metolius Preserve. Enjoy the simple pleasures of exploring the woods together! Discover how children's books develop wonder and appreciation for the natural world. Ages 3-5 with a grown-up. Register online. DANCE—Students of Academie de Ballet take families on a magical journey loved by children and adults for over 100 years. Dorothy travels far and wide meeting new friends and a few scary witches searching for her way back to her family in Kansas. ART —Inspire a love for art in your children. Discover beginning art fundamentals and mediums in a fun, hands-on creative environment. Play-based art exploration inspired by child-friendly themes. Children ages 2 to 3 must be accompanied by an adult. 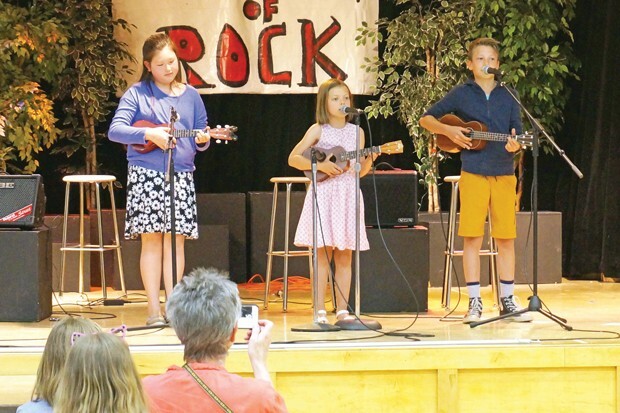 PLAY —Led by Neal Chin, award-winning ukulele performer and educator, this fun day will include hands-on instructional workshops and activities for kids ages 8-15, including playing on stage! Ukuleles will be provided, and no experience is necessary. Registration required. PARADE —Begin your celebration in Drake Park with the annual Lion's Club Pancake Breakfast. Move on to Downtown Bend for the Pet Parade. Line up at Bend's City Hall parking lot with your dog, wagon, bicycle or stuffed animal and be ready to walk the parade route. Afterwards, head to Drake Park where you'll find live music, local artisans and lots of delicious food at the Old-Fashioned Festival. And—there will be an expanded Kids & Family area this year. FESTIVAL —Enjoying 27 years of kicking off the summer season, the First Interstate Bank Bend Summer Festival draws 75 thousand visitors for a weekend like no other. Festival features fine artists and craftspeople, artisans and performers, and three stages of some of the best regional and national blues, rock and jazz. 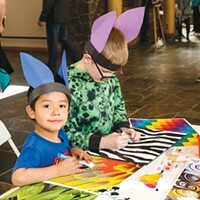 Check out the kid area for family-friendly activities! THEATER — BEAT Children's Theatre presents one of literature's most enduring young heroines, Meg Murry, with back braces, stubbornness and all. She joins forces with Mrs. Whatsit, Charles Wallace, Calvin O'Keefe and more to battle the forces of evil so she can rescue her father, save humanity and find herself. EVENT—Come experience the art, skill, and heritage of traditional and contemporary quilts and fiber arts. Walk around Sisters, view the many beautiful quilts, sign up for a workshop or go shopping for that one-of-a-kind piece. EVENT—See solar cars competing in the American Solar Challenge cross the finish line at the Museum! Beginning on July 14, collegiate solar car teams will race more than 1,700 miles, following portions of the Oregon National Historic Trail starting in Nebraska and ending at the Museum. Cars arrive between 11:30am and 4pm. 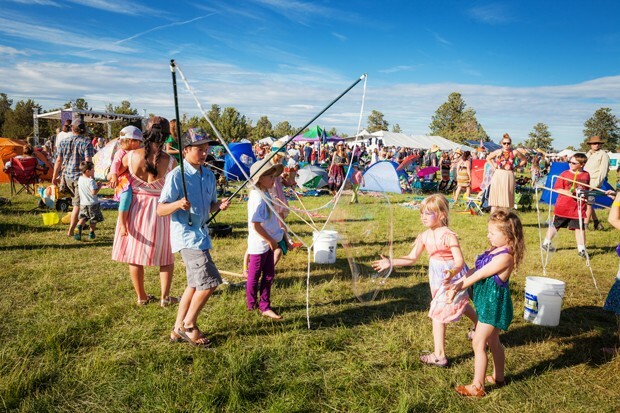 FESTIVAL —Come one, come all to the 2018 Balloons Over Bend Children's Festival! 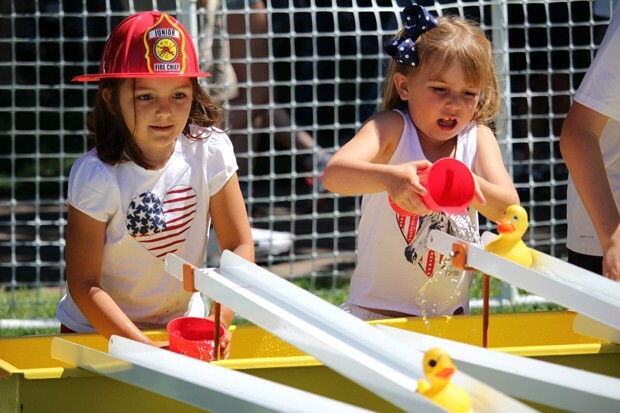 Kids will experience everything from educational experiments, carnival games, creative stations, nature nooks and the Balloon Blast Kids Race (part of Kids Rock the Races series). In addition, as part of the festival, hot-air balloon launches take place at sunrise at Jewel Elementary and the night glow happens in River Bend Park Friday night. See website for complete schedule. Deschutes Historical Museum | $10/adv., $15/door. 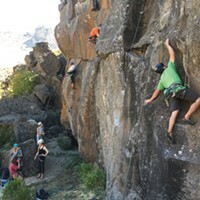 TRAIN —Kids ages 4-15 will learn new skills and make new friends. Each clinic will include an activity in each discipline, so bring a bike, helmet, swim suit, towel, running shoes and a water bottle. FAIR—In its 99th year, Deschutes County hosts the biggest fair in all of Oregon. Check out the midway, the carnival rides, live music, the rodeo and don't forget to look for those blue ribbons in categories like poultry, beer, and everyone's favorite: baked goods. MUSIC—Join the Sunriver Music Festival for an abundance of classical music concerts over two lively weeks. The 41st season features world-class musicians from all around the nation while also continually creating and nurturing music education programs for Central Oregon's youth year-round. FUN – Swim! Bike! Run! Do a triathlon! The swimming portion of this non-timed event will be held in the safety of a supervised pool. The mountain biking and running portions will be held in Juniper Park. The event focuses on sportsmanship and making new friends. All abilities are welcome. Build your skills and get ready for the race by signing up for one of the four weekly clinics.